DETROIT -- Shares of American Axle and Manufacturing soared today after an analyst upgraded the stock from hold to buy. 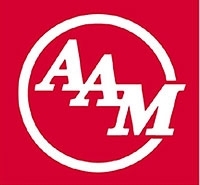 American Axle shares nearly doubled in value. When trading started Friday, American Axle shares traded at $2.02. The stock closed at $4.00 after reaching a high during the day of $4.64. Fridays close was an increase of 164 percent on the New York Stock Exchange. Volume was unusually heavy with 25.6 million shares trading hands. The daily average volume for the last three months has been 1.3 million shares. Auto analyst Rod Lache of Deutsche Bank AG said in a note to investors that American Axle has achieved better-than-expected cost savings and has likely reduced its break-even point to a seasonally adjusted annualized rate of between 9.5 million and 10 million units per year. We are increasingly comfortable that AXL will be a survivor amidst the wreckage of U.S. automakers and parts suppliers, Lache wrote. He also raised the target share price from $1 to $5. The company announced in late April that it will close its largest plant in Detroit and move 230 jobs to Mexico. American Axle ranks No. 24 on the Automotive News list of the top 150 suppliers to North America with North American sales to automakers of $1.99 billion in 2008.